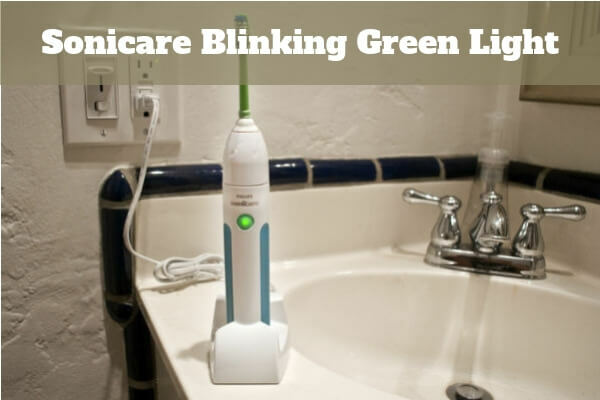 Sonicare Toothbrush Blinking Green Light – What Does It Mean? How Long Must a New Sonicare Toothbrush Charge? How Long Will a Full Charge Last? So you’ve purchased your new Sonicare toothbrush and you notice a green blinking light. No need to panic. It simply means the handle is not yet fully charged. For this and other common challenges, we put together a few important facts about your Sonicare toothbrush. Solid green light: This means the handle is fully charged. When purchasing your toothbrush it comes with an initial charge. However, you need to charge it for 24 hours straight before first use to ensure maximum performance. Phillips Sonicare Diamond Clean: A full 24-hour charge will last you up to three weeks. However, make sure the battery drains out before recharging as this will make it last longer. Phillips Sonicare Diamond Clean Smart: This model will last approximately two weeks depending on the frequency of use. To avoid charging problems always use the original charger provided with your Sonicare toothbrush. Also, avoid placing your charger on a metal surface—or near other chargers—because this will interfere with the charging process. As with any electrical appliance, these toothbrushes must be handled with care and caution to ensure longevity. Remember: Take care of your toothbrush and it’ll take care of your teeth. A little effort is worth it, right? Have a look at our list of top electric toothbrushes in order to avoid most common mistakes when buying one.